Did you know that the Desert Botanical Garden in Arizona tracks wildflower blooms to let flower lovers know where to view the amazing natural displays during springtime? The Garden partners with many parks, and other gardens, in the state to give locals and tourists up-to-date information on where spring wildflowers are in abundance. Since we’re in the middle of wildflower season right now, we thought we’d tell you where the Garden says you can view these beautiful blossoms. If you’re living in Arizona or will be visiting, consider making a trip to see them in all their glory. Even if you can’t make it to view these pretty flowers this year, the list below will help you to know where you can probably marvel at wildflowers next year. 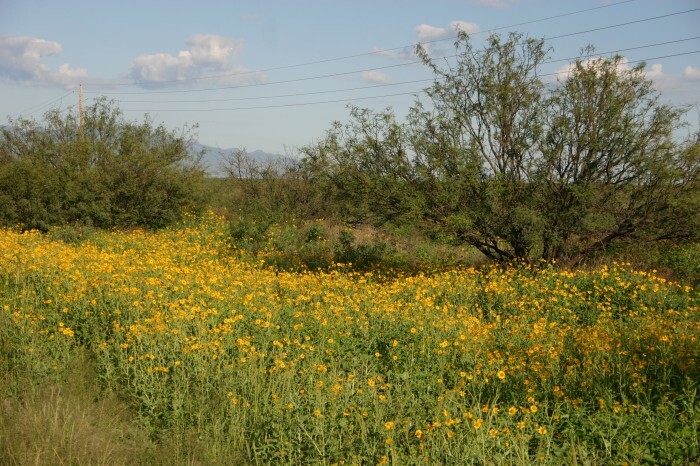 Use the following guide to find out where you can view spring wildflowers in Arizona on car rides, walks, hikes, and many outdoor adventures. If you’ve been to any of these state parks or botanical gardens, we’d love to hear what you thought of the experience and whether you saw tons of stunning wildflowers. Feel free to leave us a message below. Did you know that the Desert Botanical Garden in Arizona tracks wildflower blooms to let flower lovers know where to view the amazing natural displays during springtime? The Garden partners with many parks, and other gardens, in the state to give locals and tourists up-to-date information on where spring wildflowers are in abundance.Since we’re in the middle of wildflower season right now, we thought we’d tell you where the Garden says you can view these beautiful blossoms. If you’re living in Arizona or will be visiting, consider making a trip to see them in all their glory. Even if you can’t make it to view these pretty flowers this year, the list below will help you to know where you can probably marvel at wildflowers next year.Use the following guide to find out where you can view spring wildflowers in Arizona on car rides, walks, hikes, and many outdoor adventures.